Businesses are able to easily add their products or food and instantly create a mobile ordering app. Fully integrated with custom accounts and payment processing. 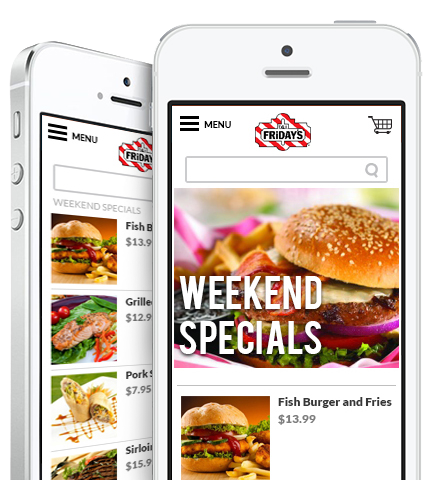 The mobile ordering apps are completely customized to the businesses brand. Customize logos, color schemes and product pictures. With our Stripe.com and Paypal.com partnership, businesses are able to easily collect money directly from the consumer at the time of purchase. Our online ordering apps are not just for iPhone or Droid, they work on almost all smart phones. Fully functional ordering website all branded to your business. 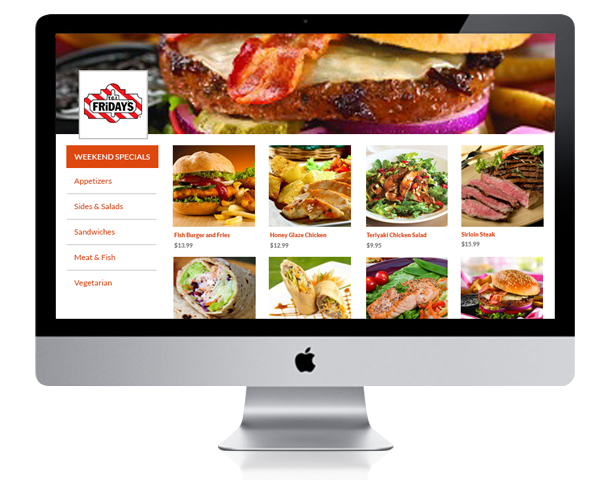 Add an "Online Ordering" widget to your current website or use as a standalone website. Add the optional online ordering widget right to the homepage of your current website to get consumers ordering. If you do not have a site or want your site to be a simple way for consumers to order your products, you can use the online ordering website as your main website. Businesses have all the flexibility in the world to create their menu or product list for easy consumer ordering. Tablet ordering apps have multiple applications in which they can be used. Restaurants are able to replace paper menus with tablets. Retail can display ordering kiosks. Field sales people can make sales right from their tablet also! Waiter? What waiter? Let customers order their food or products while sitting in your business. Digital menus are the next big trend! Put a tablet ordering kiosk anywhere in your business. 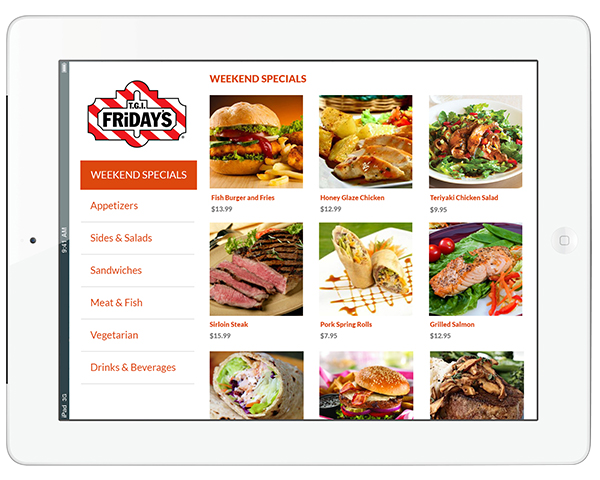 Easily have your ordering app displayed at all times on a tablet kiosk in your store or restaurant. Customers are able to easily place orders through the shopping cart. Merchants have the ability to use customer data for marketing purposes. Everyone is on social media. It only makes sense to have your products and the ability to order those products right on your Facebook page! 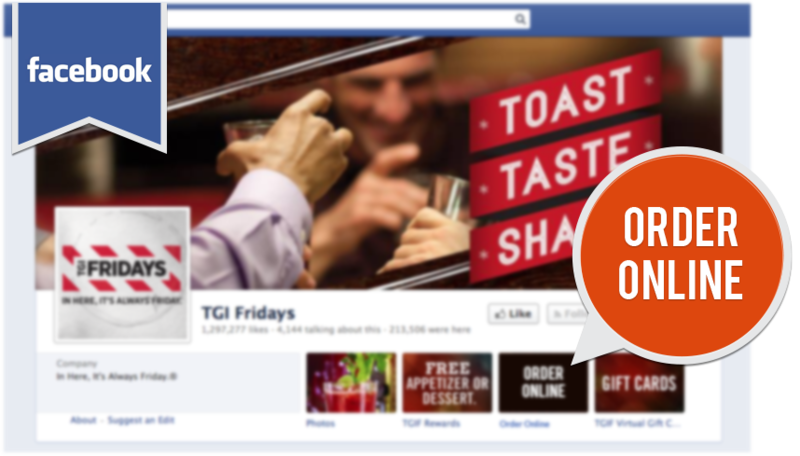 Consumers just click on “Order Online” on your businesses Facebook page and easily order your food or products. Facebook ordering apps are completely branded to the business. Including logo, color scheme and product lists. When creating a menu or product list, you will automatically generate a Facebook ordering app you are able to use.